The past year has seen a vigorous investigation into the “Ekaterinburg remains”. On the night of July 17, 1918 in the city of Ekaterinburg in the Ural region of Russia, Tsar Nicholas II, Tsaritsa Alexandra, their children, their doctor, and several servants were executed by the members of the Ural regional Cheka. Measures were taken by the murderers to ensure that their bodies would not be found. Although the general consensus for many years has been that their remains were completely destroyed, in 1979 an informal group headed by screenwriter G. T. Ryabov and local historian A. N. Avdonin, after several years of research, discovered a burial site near the road from Ekaterinburg to the village of Koptyaki, which the researchers concluded was the grave of the Royal Family. In 1991 at Avdonin’s information the local authorities opened the burial site, where they found the remains of nine people. Lacking the necessary facilities for reliable genetic identification, the remains were tested by forensic specialists of the Ministry of Internal Affairs of Great Britain, and the United States Ministry of Defense. The conclusion was that the remains belonged to the Royal Family (although the remains of Grand Prince Alexis and Grand Princess Maria were not identified among these remains). There has since been much criticism of that investigation from Russian Orthodox faithful both inside and outside of Russia. The leaders of the Russian Orthodox Church have chosen not to accept these remains as the relics of the Royal Passion Bearers, who were canonized by the Russian Church Outside Russia in 1981, and by the Moscow Patriarchate in 2001, until further investigation has removed all doubt about their authenticity. 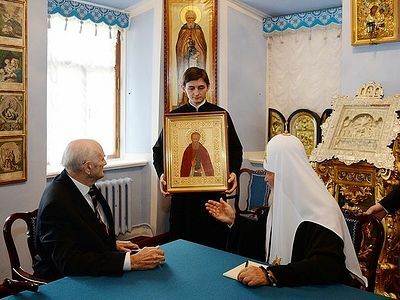 His Eminence Vikenty, formerly archbishop of Ekaterinburg, spoke with a Pravoslavie.ru correspondent about the current investigations and the veneration of the Royal Family. Metropolitan Vikenty (Morar) of Tashkent and Uzbekistan. 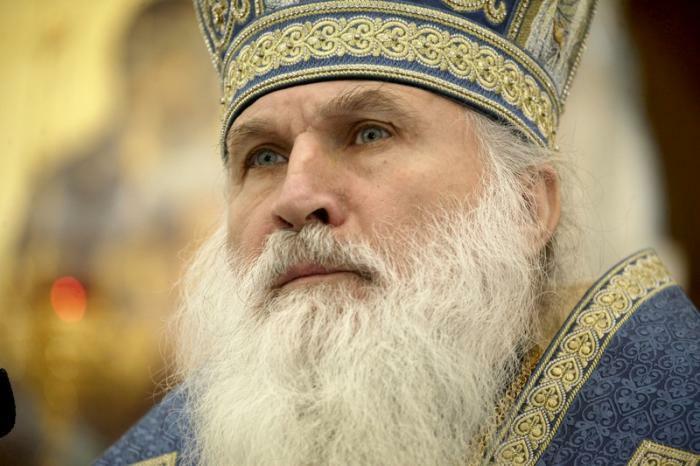 Metropolitan Vikenty (Morar) of Tashkent and Uzbekistan, a permanent member of the Holy Synod of the Russian Orthodox Church, was born October 4, 1953 in the village of Skulyany, in Moldavia, to a clergy family. After graduating from high school in 1971-73, he fulfilled his army duty. In 1974, he entered the Moscow Theological Academy, from which he graduated with a candidate degree in theology for his work, “The teaching of St. Ignatius (Brianchaninov) on prayer.” In 1981, he was tonsured a monk and ordained a hierodeacon, and in January 1982, a hieromonk. On August 28, 1990 he was raised to the rank of Archimandrite, and on September 2, 1990 he was ordained bishop of Bender, a vicariate of the Kishenev (Chisinau) metropolitanate. On July 18, 1995 he was appointed bishop of Abakan and Kyzyl. On Febrary 19, 1999 he was elevated to the rank of Archbishop. 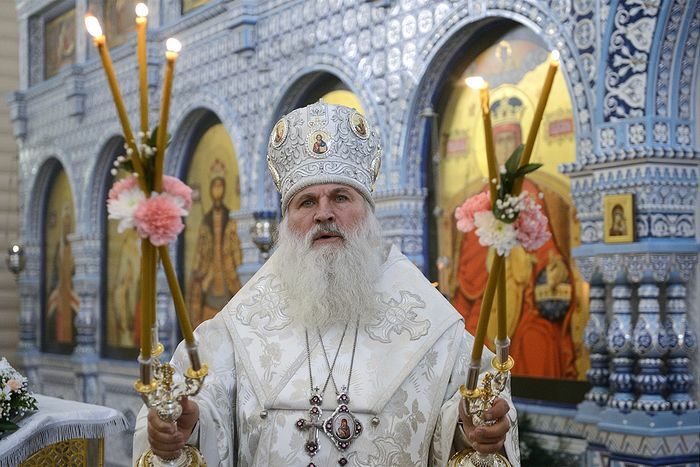 From July 1999, he was appointed archbishop of Ekaterinburg and Verkhotourye. On July 27, 2011 he was appointed head of the then established metropolitanate of Central Asia, and on August 4, elevated to the rank of Metropolitan. 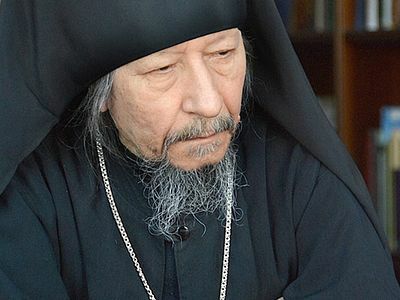 In early October of that year, Metropolitan Vikenty was made a permanent member of the Holy Synod of the Russian Orthodox Church and rector of the Tashkent theological seminary. He is also the president of the foundation for awards in memory of Metropolitan Macarius of Moscow and Kolomna. —Your Eminence, the attention of Orthodox society is currently riveted on the new investigation of the “Ekaterinburg remains”. You served for a long time in Ekaterinburg, and established the tradition of regular nighttime processions in honor of the Royal Martyrs, which now gather tens of thousands of the faithful (some say that there were as many as 100,000 this year). What do you think about the remains that were found in Porosyonkov gully? —It has always seemed to me that no one has really treated these remains seriously. 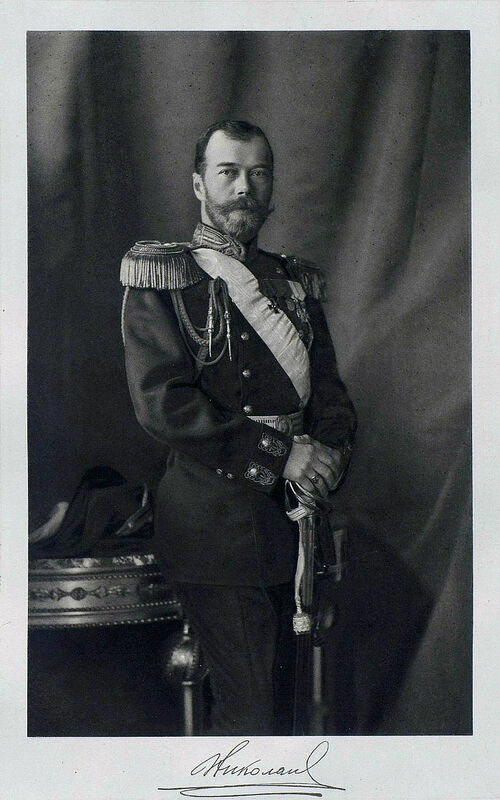 Just as people were negligent toward the Tsar during his lifetime, so also now there is a rather haphazard way of dealing with his supposed remains. As a result, mistrust has arisen in peoples’ awareness as to what has actually been preserved. Perhaps there are no remains; perhaps they were burned and completely destroyed? This is the situation now in our consciousness. Now His Holiness Patriarch Kirill is very wisely, seriously, and very responsibly taking measures to be completely sure about what they are proposing, about just whose remains were found in the Koptyakov forest. Some very weighty expert committees have been created; now around fifteen different expert committees are working, each of which is preparing it’s own conclusions. We are now waiting for the final conclusions of all these committees; and then, of course, we will make a decision as to what to do and how to relate to all of this. His Holiness the Patriarch, as I have already said, is very serious about establishing the truth. What is very important is that he is not rushing anyone, nor is he gagging anyone. Each can express his own opinion, his own view of this, and make his own proposals. There are of course, competent expert groups of scientists and scholars who are to give us their professional answer to all the questions any person might ask. Laypeople, priests, monks, and bishops can all say their own word, and we should all receive an answer to all our perplexing questions. I also have questions: Why this, and not that? I served in Ekaterinburg for twelve years, was in the epicenter of all these events, and I know the situation from the inside out. I have been many times to Ganina pit, and I know how people look at this and what questions they ask. It will be very important to all of us that these questions receive answers. —First of all, should science and scholarship be giving answers to these questions? —Yes. Historical scholarship, genetics, anthropology… Now there are quite a few scholars working on this issue. And this is how it should be. We are talking about the Tsar, the leader of our country, the Annointed of God after all. Therefore we simply must not relate negligently to this matter, as we have before. Throughout the process of discussing the work of the present committees, new groups of scientists, researchers and forensic specialists, we have had to hear more than once that there were numerous mistakes missed in the the previous investigation. This is now being corrected and changed, and it is being done they way it should be done. But this is not the only important thing. We have to restore the good name of Tsar Nicholas II. Because there has been so much dirt and slander spoken against the Royal Family and the Tsar, now we have to work mainly towards showing the good side, clarifying, and truthfully shining light on the life and activities of the Royal Family. When I served in Ekaterinburg, for twelve years we tried to do this. We had conferences, organized exhibitions, and meetings with historians. And I saw how people’s relationship to the Royal Family changed. After all, we were always told that the Tsar was no good—he destroyed the country, was weak, etc. He was in fact the Supreme Commander of the army and navy, and when he headed the army, victories began to happen; he in fact brought the war to its victorious end. The war was not far from ending victoriously—if it were not for the revolution… How can these things be reconciled? How could he have been weak? To the contrary, he was in fact very strong. —Your Eminence, you were the organizer of what is now the traditional annual procession in honor of the Royal Family that takes place after the nighttime Liturgy on July 17. Do you participate in the cross procession every year? —Yes. Every year for the last seventeen years I have participated in the cross procession from the place of the Royal Family’s murder to the place where their holy remains were destroyed and mocked, in the Monastery of the Holy Royal Passion Bearers on Ganina pit. It all started with just a few hundred people. Then it became more organized. There were 5000, then 10,000, 15,000, and 20,000. We rejoiced. Glory be to God that people are finally relating more seriously to the Tsar, the Emperor. People are coming, honoring, and remembering. People have begun to understand that something unbelievable, terrible and horrifying happened to the Annointed of God—something we can’t even grasp. 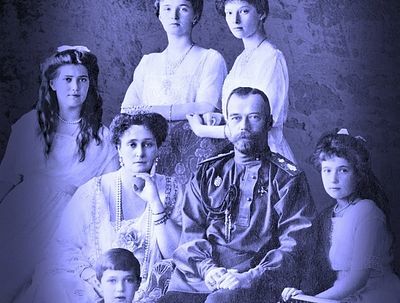 I think that the more we strive to cleanse the Tsar’s name from the filth poured on it, to rehabilitate the truth about the Royal family, the more quickly the question of the remains will be resolved—much more quickly. Maybe even the Emperor himself, or the Lord Himself is withholding the answer to this question because we do not have the right attitude toward the Royal Family. 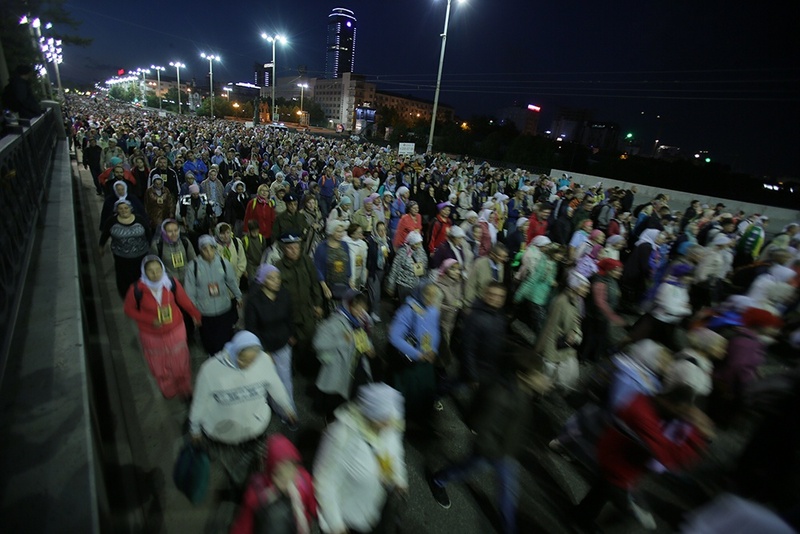 When we organized the Cross processions I thought, “Why isn’t all of Russia gathering? After all, this is the Emperor, the Head of the nation. Well, this year I counted 100,000 participants in the Cross procession. It is good that the number of processors is growing, but what is 100,000 out of the entire Russia nation?! —Even out of all of Ekaterinburg…. —Even out of all Ekaterinburg. You walk in the procession down the path on which they carried the murdered Royal Family, and along the way you see that the lights are on in apartments, some people even coming out on the balcony to watch, curious as to what is going on. But to walk this road, to show love, respect, and gratitude to the Emperor for all that he did for Russia—that is not happening. So far we have not seen this taking place. It would seem that Ekaterinburg should be the first in line to do this. But of course, all of Russia should be involved in this. —Does this remind you of the situation a century ago, when the Emperor abdicated the throne? —Yes, tell us what happened. And that’s all. And there would not have been that fratricidal war. There would not have been whites and reds and everything else. But the people did not have the strength to say it, to ask it. And the Tsar was taken and arrested in his own home. This is also absurd—they arrested the Emperor. For what? Why? It’s incomprehensible. —They became weak. Spiritually weak. And now we have to restore the veneration of the Royal Family, the Sovereign; after all, they really were holy people. At the end of the twentieth century we were still not saying that he is a saint, just a man of righteous life, living a life in the Church; and religious person. He did very much that was good for the people and the country, and raised the standard of living. The people must be told the truth. We all have to recognize this now. This is very important for our development, for the flourishing of the Russian nation. We must repent: We did not appreciate you, our sovereign, or understand you. We abandoned you, we betrayed you. Forgive us, our sovereign. We need to remember more often the last words entered into the Tsar’s journal—very serious words: “All around are betrayal, cowardice, and deceit.” What, isn’t that what we have today? We also have these negative sides of life now, about which he spoke then, 100 years ago. We must heed the voice of the Emperor. What is betrayal? What is cowardice? What is deceit? How did we deceive? About what were we cowards? What did we do wrong? And we need to change our lives. Then, of course, many problems would be solved. —Your Eminence, I recall that you spoke about the fact that traces of quicklime were found in the monastery on Ganina pit not far from that mineshaft. Can you tell us about this in more detail? —In 2001, when the foundation was laid for the Church of St. Seraphim of Sarov, a whole pit of quicklime was found. But we did not ascribe any importance to this then, and made no expert examination. —Was the lime of natural origin, or manufactured? —I don’t know. But there was a whole pit of lime. Then, when in 2010 the Church of the Icon of the Reigning Mother of God burned down, we decided to build a stone church on the site instead of a wooden one, and the stone church was larger. When we dug the foundation, right on the side of the Church of St. Seraphim of Sarov we discovered a trench with lime. This time I asked our local geneticists to examine the lime. They said that there was organic matter in it. They couldn’t say what kind of organic matter, whether human remains or something else, but that there definitely was organic matter. We know that quicklime has the quality of destroying everything. Therefore the thought entered that the bodies were burned, covered with acid, and whatever remained was placed into quicklime, which destroys everything. It is no coincidence that a memorial rock stands in the monastery by the entrance into the mineshaft on which a phrase from the book of the prophet Amos is carved: I will not turn away the punishment thereof; because he burned the bones of the king of Edom into lime (Amos 2:1). At the meeting of the committee in June 2017, I talked about this. This is also a puzzle. What is this? An answer must be given. When I was at Ganina pit recently, I met with a new researcher who said, “Well then, let’s look at this lime and study it.” I showed her the place where this trench with lime approximately was. I hope that they will take a sample and begin an investigation. —Yes. Now we are beating our heads against a wall—are they the real remains or not? Now, of course, more seriousness is being given to the remains, inasmuch as the Patriarch himself has taken this on very seriously. But we need time to reconsider this situation surrounding the remains. We still need to think very hard about it. And when we recognize and understand this from all sides, when we learn to honor, respect, love, and thank the Royal Family, the question of the remains will be resolved by itself. —Your Eminence, today we hear from some people who are sure that investigator N. A. Sokolov’s version about the burning of the remains cannot be doubted; as if to say that no matter what conclusions the experts make, we will not back down from this and will not accept anything new. This threatens divisions in church life. —So what should be done about it? —I already said what should be done. If we now raise our level of understanding of the podvig of the Royal Family, the level of honor and respect for them, the Lord will reveal everything. And the Tsar himself will reveal it. Let us recall an example. Today we are celebrating the memory of St. Sergius of Radonezh, the opening of his relics (this interview was recorded in the Holy Trinity-St. Sergius Lavra, July 18, 2017.—Ed.). These relics were revealed in a miraculous manner. The saint himself appeared and said, “How long will you keep me in the water?” What?! St. Sergius, whom we honor and love, is lying in water?! They went and looked—and it was true! He was in the water. They lifted his holy relics from the water together with his coffin, and honored his memory. That is how it should be with regard to the Royal Family. There should be a good, divine revelation. But today, with one part of the population saying that he this and he’s that, that he’s no good, while the other part says that he is not this and not that—how can this miracle take place?! There should be all-around honor and respect in society. —In other words, the problem of the identification of the “Ekaterinburg remains” will be resolved through a change in society’s relationship to the person of the sovereign? That is an interesting thought. There are a many such people even among Orthodox Christians who admit that they do not honor the Tsar because he abdicated from the throne and showed weakness. We hear this precisely from religious people. What then is there to say about non-religious people! Amongst them, especially those with leftist views, who nevertheless consider themselves Russian patriots, is the widespread opinion that in 1917 Russia fell apart because the Tsar was weak. What should be done? After all, the Church now has to make a decision. —The Church will not only take into consideration all scientific research in all areas, but it will, of course, heed the voice of the Church’s people. We cannot but take into consideration the opinion of believing people. But science must give an answer to some perplexities. For example, to the question of whether the Tsar abdicated the throne or not should be answered concisely by historical analysis. Did he abdicate, or was it false information? There is some research by historians who have come to the conclusion that he did not abdicate. I personally think that he did not abdicate, because he was a deeply religious person; he understood that he is God’s Anointed. The Tsar understood that if he renounces his rule it means that he has renounced God, because the Lord gave him that rule. How can a believing person do that?! —Do you expect that historical analysis should give an answer not only to how the Royal Martyrs were killed and what the murderers did with the remains in Ganina pit or in Porosyonkov gully, but also to the question of how his abdication took place? —Yes. We are posing many questions to historians and representatives of other sciences and expect to receive a concise answer. We expect not only an answer about what happened and how—it should be proven with documentation. —But the final decision will be reached at the Council? Let’s suppose that the scholars present their conclusions and the results of their research to the Holy Synod and the Council of Bishops—what then? How do you imagine further developments? What should happen next? —Of course the Council will make the decision. The Holy Synod should review [the findings], and the Council of Bishops will decide. This is after all a very serious matter. —Should this take place at the Council of Bishops to be held in November of this year, or is the matter not finally resolved? —His Holiness Patriarch Kirill holds to the opinion that we should not tie the decision to the Council of Bishops, or to any other date or event. Until we have received an answer to all our questions, until all our questions have been completely resolved, we cannot say, “Let the Council of Bishops make the final decision.” The upcoming Council of Bishops may also not be ready to make a decision. We have to receive full information about the results of the research being done by different groups of scientists and scholars of various areas. —Now, although the investigation is still formally going on, there is unofficial information that the majority of the expert analysis is complete or almost complete. There was information that in June there was joint meeting between the members of the Holy Synod led by His Holiness Patriarch Kirill, and representatives of the Investigative Committee led by A. I. Bastrykin and participating experts. Supposedly the preliminary results of some completed investigations were reported. In connection with this, the opinion arose that the investigations will be finished this autumn, and the Council of Bishops happens to be meeting then and will review this issue. Do you consider that this may not happen? —In June we heard the preliminary reports of various scholarly groups. They reported on the situation, questions were heard addressed to them—very serious questions were asked. They answered, but we would like to receive more serious answers. —Did the scholars not answer all the questions? —On the one hand, there should not be contradictions between the Church’s position and science, for we cannot place the results of the expertise under doubt. However, on the other hand, there is the spiritual experience of the Church, ecclesiastic experience. —Precisely. I already spoke about ecclesiastic experience with the example of St. Sergius, when his relics were opened according to a particular divine revelation. There is yet another example, close to Ekaterinburg, with the relics of Righteous Simeon of Verkhotourye. In the seventeenth century his relics simply rose out of the earth themselves. No one knew who it was, what sort of person. They prayed, and he himself appeared and said, “Call me Simeon.” Then people began to remember what his occupation was, and what he did. That is how it should be in this case. We need to show more reverence for the Royal Family. We need to cleanse away the dirt that people fling at him and with which they are still trying to cover him. This dirt war is still raging. The Emperor was a remarkable figure, an extraordinary person. He did very much that was good and kind. But in our understanding, from the point of view of asceticism, good is always tested by such temptations. We need to research, take a look, disperse all of this dirt, and give people a correct understanding of the life and deeds of the Tsar and the Royal Family. —Next year will mark 100 years since the day the holy Royal Martyrs and their servants were murdered. Perhaps this date can serve to bring this to the people’s memory and restore the Sovereign’s good name? —If we pray throughout this year, if we will publish more good, positive, and kind information about the Royal Family (not make things up but write the truth about what good the Emperor did), then maybe there will be a miracle. But if this doesn’t happen then we need to work harder. I know that His Holiness Patriarch Kirill does not tie the decision about the remains even to the 100-year anniversary of the Royal Family’s murder. —Your thought is understood, Your Eminence: The Tsar should not become a “stumbling block”. The matter of the remains should not evoke division among the people. But clarity can only come when society will worthily honor the Tsar. —If next year we come to commemorate the Royal Family and there are a million people in the Cross procession, then we can say that something has happened in people’s consciousness. And if those million people say, “Holy Royal Passion Bearers, reveal the truth to us about your remains. Where are they? What are they?” Then the Lord will reveal it. Do not doubt it. —May God grant this. Thank you, Your Eminence, for this conversation. 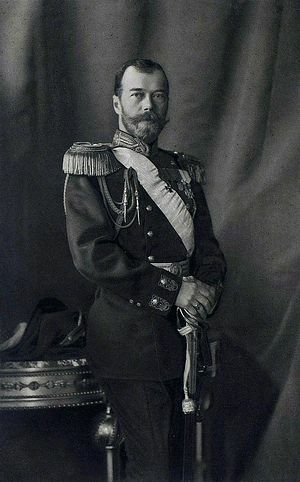 N. A. Sokolov conducted an investigation into the murder of the Royal Family at the orders of the Admiral Kolchak, who ruled Siberia between 1918 and 1920. Sokolov was unable to find the bodies of the Royal Family and came to the conclusion that they had been almost totally destroyed. Some fragments of the victims were taken by Sokolov to Europe, where they were interred at the Church of St. Job the Much Suffering in Brussels (ROCOR) (Orthodox Encyclopedia, Екатеринбургские Останки, http://www.pravenc.ru/text/189621.html).—Trans. Many of the documents were identified as a result of painstaking research in Russia’s state and departmental archives, as well as private archival collections abroad. 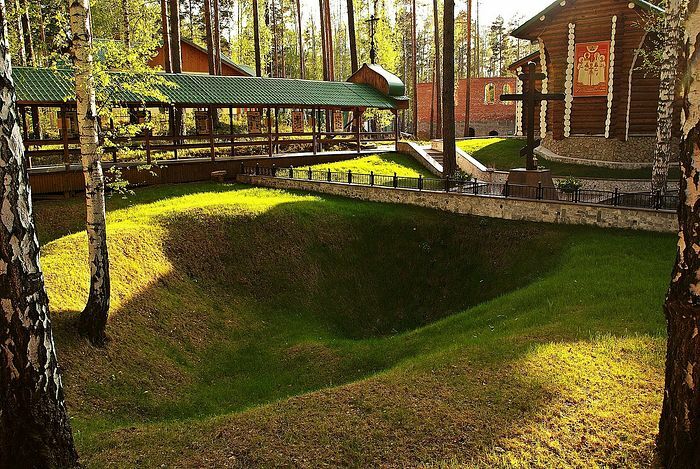 The bulk of the material, however, was collected during the first investigation into the murder of the royal family in 1919, conducted on behalf of Kolchak investigator Omsk district court Nikolai Sokolov. Mistaken date corrected, thank you, Paul. The Cheka would have called it an execution, which is why the word was used there. As you see, the rest of the article calls it a murder. 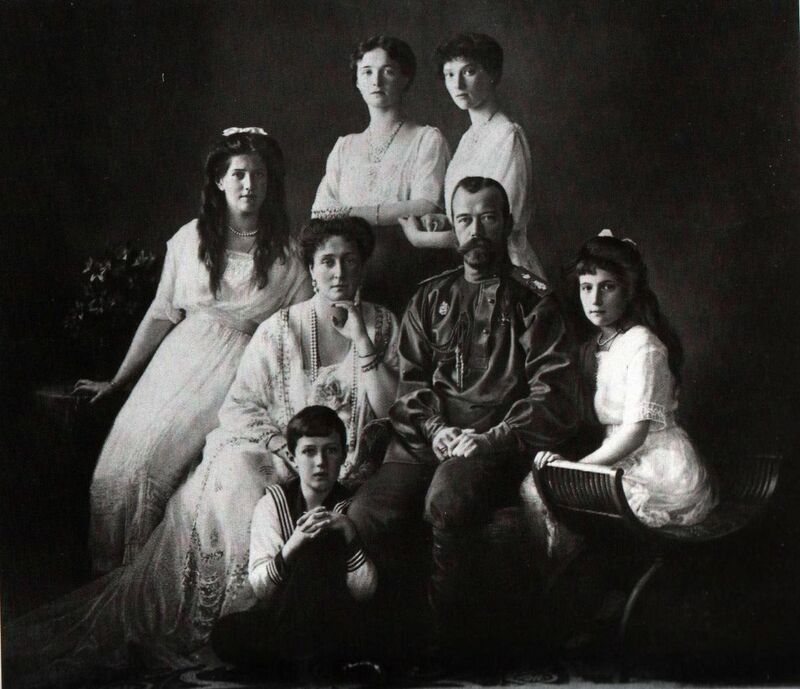 Tsar Nicholas II and his family were murdered on the night of 16/17 July, 1918 - not the night of the 18th as suggested in the preface of this interview. Further, the term "executed" is incorrect. For Nicholas II, there was no trial, no due process of law, no legal representation, no formal condemnation or right to appeal against sentence. He along with entire family and faithful retainers, were brutally, savagely murdered and in the most inept and chaotic way. O, Holy Martyr Tsar Nicholas, pray to God for us!